Macho Hero Gopichand's upcoming film gets an interesting title. 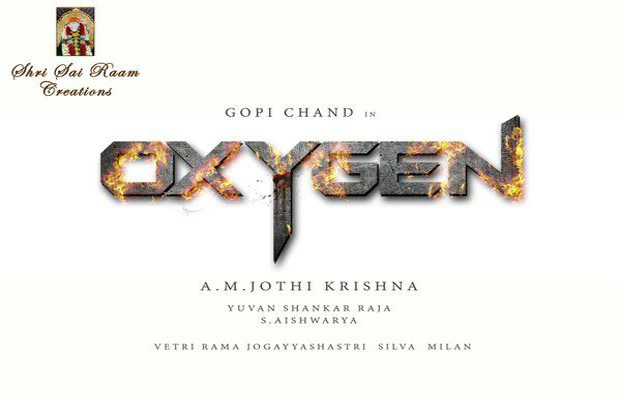 Gopichand's new film's title has been confirmed as 'Oxygen'.AM Ratnam's son Jyothi Krishna who entered tollywood with Nenu Meeku Telusa film will be making his comeback as a director with this film. 'Oxygen' movie has formally been launched today with puja ceremony in Temple of Chennai. The film logo was unveiled and it appears quite interesting. Yuvan Shankar Raaja will score the tunes and veteran actor Jagapathi Babu will play a crucial role in the film. Regular shoot of the movie will kickstart in the month of January. Kangana repeats Mahesh Babu's act!